I wasn't happy about the very recent Supreme Court ruling that disallowed states to punish child rapists with the death penalty. I don't see anything in the Constitution that would disallow that. The moderate Reagan appointed Justice Kennedy is the new swing vote on the Court and he said NO to killing child rapists. Too harsh! On the other hand, and the stated topic of this post, I was very appreciative of and thankful for the ruling on the second amendment that again came down to a 5-4 vote and I guess we'll have to say that Kennedy was the swing vote again. However, on this Justice Scalia writes a brilliant opinion in favor of individual gun rights. For your convenience, I am providing a link to the 157 page decision (Click on link for pdf). You constitutional law and history buffs as well as second amendment supporters, enjoy! We've been considering the issue of fellowship and separation in some of my recent posts. This last Sunday evening in our church, I preached just a basic sermon on this issue, entitled "The Basis of our Fellowship with Others." I recognize that in the sermon, some who read here will find some disagreement, as I briefly mention the preservation of Scripture issue and the local church issue. Besides that, this will give you a very basic understanding of the doctrine of separation in Scripture as we consider what is the basis of our fellowship. Click on the above link to either listen online or to download this sermon. It is about 40 minutes long. It doesn't cover everything on the issue, but it should help someone to get a taste of the doctrine. Multi-Cultural Gobblygook from Young "Fundamentalist"
"I also believe that celebrating another culture will enrich your life. Learning about another culture will teach you much about your own." "You cannot fully understand your own culture unless you understand others." "At the same time, you will see the differences between your culture and African-American culture as unique gifts from God to make this city a beautiful place to live and work." In brief, multiculturalism is the view that all cultures, from that of a spirits-worshiping tribe to that of an advanced industrial civilization, are equal in value. Jason Janz may not believe multiculturalism, but I think he is an intelligent man, so I think he knows what he is saying when he writes this piece for the promotion of this African-American celebration that his church (if it is a church as of yet) is sponsoring (and every church that is sponsoring him and his church). Just like him, I too would show up to the event, except with a handful of tracts to pass to the participants, welcoming them to the one and only Jesus Christ (a real, historic, and Jewish Person). We did the same thing at the Sikh parade in our area, that "celebrated" their "peace-loving" qualities. Our church is racially diverse. The school that we operate is racially diverse. In our church, whites, Euros, or whatever you want to call them, are probably in the minority. In our school, caucasians make up 25% or less. We got that way by not trying to be that way. We got that way by not caring about it. We are not culturally diverse. We have and promote one culture. We believe that all culture is inferior to it and that is Godly Culture or Biblical Culture. Everything is to be judged by the Bible. The way to become racially diverse is by racial ambivalence. If you try to become racially diverse, you will conform to the world system. His article smacks of liberalism. The way to become racially diverse is to be no respecter of persons in your preaching of the gospel. God has one way of salvation and it is the same for every one. Sanctification is the same for every race too. So that covers everything. What is black culture anyway? Is black culture really African culture? Aren't white and black just colors? Aren't we just talking about pigmentation? We have plenty of Eritreans and Ethiopians and Kenyans among American blacks in our school. We have had a South African in our school who was an African American. He was white. Our church has a black man from Paris, France, a black family from Eritrea, another from Kenya, and then several from the United States. I've found that the "culture" of black America is much different than that of black Africans who live in America. Some of what we're talking about with "black culture" isn't something that a Christian, black, red, yellow, or white, should appreciate, accept, or even tolerate. A lot of popular American culture is trash that every believer should reject. No human culture has anything to contribute to our learning and understanding. Most of it is neutral and the rest of it is bad. Jason Janz may say that he knows that, but if he did, then he would also be saying that he is merely pandering to multiculturalists and black people who are tuned into multiculturalism in many cases for political gain. There are plenty of black people who don't cow-tow to the multicultural way (think Thomas Sowell, Shelby Steele, and Walter Williams). Hip-hop is black culture, for instance, and listen to what John McWhorter says about that (click on link). The aforementioned men themselves know that you don't help black people by catering to multiculturalism. I would hope that Janz would read something like Up from Slavery by Booker T. Washington or the works of Booker T. Washington (concentrate on his Sunday night talks given to Tuskegee students after they got back working in churches all day Sunday) from some good local library to see that Washington, who by far represents a Scriptural way of thinking, saw the world far differently than the W. E. B. Dubois Harvardian ideas reflected in multiculturalism. I can see other doey-eyed young fundamentalists whose brains have been softened by the modern media picture of race relations. They want to go to the inner city to "make a difference." It isn't as though they were the first people to think about the inner city. I've gone door-to-door through the neighborhoods that black people cringe at when I mention them. I still play basketball places where I'm outnumbered racially 35 to 1. Many others have gone ahead of me to the inner city. The gospel is the power of God unto salvation. You don't go anywhere with race in mind. You go with the only saving message. To God be the glory. God isn't glorified when we tolerate unscriptural activity. Aspects of African, European, American, Indian, and Asian culture must be repudiated with no uncertain terms. The goodness of God will lead them to repentance. They believe that He is and that He is a rewarder of them who diligently seek Him. Paul said that race relations broke down in Christ. Preach Christ. Forget the racial stuff. When we are reconciled to God, we reconcile to one another. And if you happen to be in a place with a lot of races, don't make a big deal of it. It doesn't mean anything once you're in Christ. Read this speech given in 2004 about the thing that Janz is encouraging---by a former Colorado governor. I think the conservative evangelicals and the fundamentalists are wrong on separation. I can understand a Southern Baptist like Mark Dever's frustration with fundamentalists. I would feel the same way about it if I were him. They're not consistent. They can't even explain their inconsistency and yet they want him to be a separatist like them. At the same time, I sympathize more with a Mark Minnick because he's right, Scripture teaches separation. They both have trouble because they both are wrong on the nature of the church. You can't be consistent on either unity or separation when you don't have the right view of the church. By the way, the correct view of any doctrine can be practiced consistently if it is correct. God by His nature is consistent. Something that is inconsistent does not reflect Him, so it can't be what He is teaching in His Word. That should be a big deal to these guys, but ultimately their traditions supplant Scriptural doctrine. They should humble themselves to consider a Scriptural ecclesiology, but they don't. God resists the proud; gives grace to the humble. Alright, with that diagnosis out of the way, the big elephant in the room in the discussion is that the Bible is a book about separation---light from darkness, day from night, land from water, the godly from the ungodly, the living and true God from idols, righteousness from wickedness, truth from error, the sacred from the profane or common, the clean from the unclean, Godly wisdom from the wisdom of this earth, men of God from false teachers, the church from the world, God from Satan, the wise from the foolish, the tares from the wheat, the sheep from the goats, the kingdom of God from the kingdom of this world, the narrow road from the broad road, children of light from children of darkness, and more. I hope everyone reading gets the picture. Yet evangelicals seem to miss these. They might get upset when others say they do, but that's how it seems. Recently Mark Dever posted over the separation issue. He seemed to be a little perturbed about being accused of not practicing separation. Fundamentalists and others came out of the woodwork to comment---fundamentalist leaders from Michigan (Dave Doran) and Minnesota (Jeff Straub), a few highly opinionated novices (think Bob Hayton, among others), a couple of armchair quarterbacks who mainly still play with truth in a test tube, and the ox-goad himself [I noticed the Straub reference to Shamgar), Don Johnson, entered the fray, albeit later wishing he hadn't. We had the mysterious CD Host, but I think anonymity can tend toward false bravado (he's now debating Frank Turk on behalf of ladies heading up churches). Of all the commentators, I did relate most and best to Don Johnson. Most of you readers would have already guessed that. If I was reading the comments there attempting to understand separation, I would have had a difficult time. Most of it reads like seat-of-the-pants theology, a tremendous amount of speculation. Very little looks cut and dry. I guess that the fundamentalists are saying that Dever should separate, but it's hard to tell. Jeff Straub is not clear at all. If I were trying to find out if it would be OK to join or pastor a Southern Baptist Church, Straub would have me thinking that would be fine. And I guess that fundamentalists are fine with Straub giving that impression with his lack of clarity. I thought these things mattered to fundamentalists. Either I've been wrong about this or fundamentalists are changing. I do think the latter is true. The way it all reads is like a political discussion or fight in a political party, to get included what every group wants in their party platform. There doesn't seem to be an overriding document that can give clarity. Of course, there is. The Bible. That isn't being referenced much in the discussion. To be fair or sensitive, maybe they aren't using Scripture because they think everyone knows it already, so just skip the verses and go straight to the application. We can't skip the Bible. To glorify God, we speak as the oracles of God. Mark Minnick told Dever in the interview to look up the passages on separation and study them out. That was good counsel. Everything in the commentary about separation should go back to the Bible. We do spiritual warfare with Scripture, pulling down strongholds, not with carnal weaponry but with the sword of the Spirit. So the elephant in the room of the discussion are the passages on separation. I'm going to just list a lot of them, and this won't even get into all the Old Testament examples, Scripture replete with them. Ultimately we are to honor God and He is honored by the right response to His Word, one of faith. Leviticus 20:24-26 But I have said unto you, Ye shall inherit their land, and I will give it unto you to possess it, a land that floweth with milk and honey: I am the LORD your God, which have separated you from other people. 25 Ye shall therefore put difference between clean beasts and unclean, and between unclean fowls and clean: and ye shall not make your souls abominable by beast, or by fowl, or by any manner of living thing that creepeth on the ground, which I have separated from you as unclean. 26 And ye shall be holy unto me: for I the LORD am holy, and have severed you from other people, that ye should be mine. Psalm 6:8 Depart from me, all ye workers of iniquity; for the LORD hath heard the voice of my weeping. Psalm 101:4-8 A froward heart shall depart from me: I will not know a wicked person. 5 Whoso privily slandereth his neighbour, him will I cut off: him that hath an high look and a proud heart will not I suffer. 6 Mine eyes shall be upon the faithful of the land, that they may dwell with me: he that walketh in a perfect way, he shall serve me. 7 He that worketh deceit shall not dwell within my house: he that telleth lies shall not tarry in my sight. 8 I will early destroy all the wicked of the land; that I may cut off all wicked doers from the city of the LORD. Ezekiel 22:26 Her priests have violated my law, and have profaned mine holy things: they have put no difference between the holy and profane, neither have they shewed difference between the unclean and the clean, and have hid their eyes from my sabbaths, and I am profaned among them. Matthew 10:34-37 34 Think not that I am come to send peace on earth: I came not to send peace, but a sword. 35 For I am come to set a man at variance against his father, and the daughter against her mother, and the daughter in law against her mother in law. 36 And a man's foes shall be they of his own household. 37 He that loveth father or mother more than me is not worthy of me: and he that loveth son or daughter more than me is not worthy of me. 1 Corinthians 5:9-11 I wrote unto you in an epistle not to company with fornicators: 10 Yet not altogether with the fornicators of this world, or with the covetous, or extortioners, or with idolaters; for then must ye needs go out of the world. 11 But now I have written unto you not to keep company, if any man that is called a brother be a fornicator, or covetous, or an idolater, or a railer, or a drunkard, or an extortioner; with such an one no not to eat. 2 Corinthians 6:14-18 Be ye not unequally yoked together with unbelievers: for what fellowship hath righteousness with unrighteousness? and what communion hath light with darkness? 15 And what concord hath Christ with Belial? or what part hath he that believeth with an infidel? 16 And what agreement hath the temple of God with idols? for ye are the temple of the living God; as God hath said, I will dwell in them, and walk in them; and I will be their God, and they shall be my people. 17 Wherefore come out from among them, and be ye separate, saith the Lord, and touch not the unclean thing; and I will receive you, 18 And will be a Father unto you, and ye shall be my sons and daughters, saith the Lord Almighty. 2 Thessalonians 3:6, 14-15 Now we command you, brethren, in the name of our Lord Jesus Christ, that ye withdraw yourselves from every brother that walketh disorderly, and not after the tradition which he received of us. 14 And if any man obey not our word by this epistle, note that man, and have no company with him, that he may be ashamed. 15 Yet count him not as an enemy, but admonish him as a brother. 2 Timothy 2:20-21 20 But in a great house there are not only vessels of gold and of silver, but also of wood and of earth; and some to honour, and some to dishonour. 21 If a man therefore purge himself from these, he shall be a vessel unto honour, sanctified, and meet for the master's use, and prepared unto every good work. Hebrews 13:12-13 12 Wherefore Jesus also, that he might sanctify the people with his own blood, suffered without the gate. 13 Let us go forth therefore unto him without the camp, bearing his reproach. 2 John 1:9-10 Whosoever transgresseth, and abideth not in the doctrine of Christ, hath not God. He that abideth in the doctrine of Christ, he hath both the Father and the Son. 10 If there come any unto you, and bring not this doctrine, receive him not into your house, neither bid him God speed: 11 For he that biddeth him God speed is partaker of his evil deeds. If evangelicals are so scholarly, then why is separation missing in their doctrine books or their presentations? Why aren't they developing a doctrine and practice of separation? I think that all of the lack of separation is for the same reason that Israel stopped separating like God told them to. I'm not going to get into the reasons, but someone who says they care about God's Word and is such a "help" to the cause of Christ by the opinion of others should be a separatist. You're not smarter when you don't separate, even if people say that you are. Should we discuss how these texts should be followed? Definitely. When I read them, I don't think, "I need to separate less." I see, "Separate more than I do." We know, however, that we won't be popular when we do. None of the separation passages say anything about essentials and non-essentials, primary or tertiary. That's all made up by people who aren't planning on being consistent with what God said. There are more passages than these and there are those that would guide us in how to do separation, how to separate properly. I don't believe we just cut people off. We should have a discussion with people. Separation is loving consistent with the nature of God, but love is also a separating love, or it isn't love. I find the typical tactic of evangelicalism and fundamentalism is not to talk, help, and then separate. They separate and you don't find out until you feel their cold shoulder. They ridicule and mock, tons of ad hominem, and it's OK with them, because they have a crowd on their side, a relative small one compared to the world, but enough to make them feel "right." It's interesting on this. People will say that you're mean if you say something, but if you say nothing and then just rip on people behind their back, you're loving. How is this Scriptural? To love, you've got to say something. I don't think it's good to keep saying something ad nauseum, filibustering people with talk. After awhile, you just let it go. That's where I can get in trouble, I know. I won't go further, but this is all under "how to separate." Now go study. Now go separate. I wandered over to SharperIron and the new administration there posted the first two resolutions of this year's Fundamental Baptist Fellowship International. Reading both these resolutions makes me so glad not to be a part of the FBFI, oh so glad. Baptists historically are first characterized by having the Bible as their sole authority for faith and practice. I wish these two resolutions could have come from Scripture. They would have seemed Baptist then. They do seem to be more fundamentalistic than Baptist, and mainly the fundamentalism of Bob Jones University and its orbiting colleges and seminaries. Someone recently told me that I "obsess" on the issue of this first resolution. I was reacting to a posting, which is something that Spurgeon said that related directly to the issue. I didn't make the resolution. I'm just reacting to the one that FBFI made. I'm simply responding to a resolution that they wrote. They feel a need to write more about this issue. They talk about not having time to deal with it and they bring it up again and again. They have plenty of time to deal with the issue. I'd be glad to debate any of them about the subject. I've recently done that online. Mark Minnick talks to Mark Dever about fundamentalism. Right out of the box comes the King James Only issue. Men of the FBFI want to use whatever version of the Bible and not get in trouble with it. They want those who say anything to be the ones who are in trouble with them. If this is what they believe, they shouldn't need a resolution to give them comfort about what they believe and practice. The first resolution is full of irony that I will be glad to point out. They have obviously made the point that men with a Biblical and historic belief will not be welcome in the FBFI. It seems that so many of the FBFI are quite comfortable with the ways of the so-called "conservative evangelicals." They'll go to be with the Together for the Gospel (T4G) guys with giddy enjoyment. Nothing holds a great many of the leaders of the FBFI from hob-nobbing with evangelicals who are not biblical separatists. We don't get any resolutions about separating from these men. They are more comfortable with Charismatics (CJ Mahaney) than they are men who believe the Scriptural and historic position on preservation of Scripture. The FBFI affirms the orthodox, historic, and most importantly biblical doctrine of inspiration, affirming everything the Bible claims for itself, and rejecting, as a violation of Revelation 22:18-19, any so-called doctrine, teaching, or position concerning inspiration, preservation, or translation that goes beyond the specific claims of scripture. I can't but say that I'm angry with this resolution. I can't help but say that it really is full of absolute fabrication, invention of men. They can make their resolutions, but the God of Heaven sits on His throne and laughs. Their counsel will not stand. God's Words will not pass away, even as their committee will. When I read this resolution, I can see that it is very careful in its wording, really in a deceptive way. Unless you read it closely, you will not see that it attempts very hard to say very little. It leaves room for a semi-truck to drive through the doctrine of inerrancy. I'll show you how. This resolution isn't loyal to God or His Word. It is loyal to man-made organizations and human reasoning. Someone could argue that they're right about inspiration but it provides wide latitude for wrong doctrine. It does nothing to indicate how a Christian should apply Scripture to the issue of the translation of the Bible. It especially does nothing for a Biblical view of "texts." You should take notice that it doesn't say "Biblical View of Preservation." They don't care if you know what Scripture says about that issue. They say "texts," as if there are several "texts" of Scripture. They aren't talking about references or texts of the Bible that teach certain doctrine about God's Word. The only passage they reference in the entire resolution throws in Revelation 22:18-19 a mile away from its teaching and application. They want to use the warning of Revelation 22:18-19 without an understanding of what that passage even says. They talk about inspiration in the resolution, but their point is to somehow accuse men who believe in the Scriptural and historic point of view of teaching some kind of ongoing inspiration. It's a smear that they are not willing to debate. They are comfortable with ad hominem, scorn, and ridicule. They can't discuss it in any kind of civil manner because they don't have Scripture to stand on. In the end, God and His Word still stands like a Rock in the midst of their attacks. You may say, "What's wrong with that line? I agree with that." Maybe you do believe in it. The line; however, is not Scriptural. It could be, but the way that it is stated makes it ambiguous enough that it is not likely teaching what the Bible says about its own inspiration. It leaves the door open for errors in Scripture. The committee that made up this resolution ended it by writing, "[T]hat goes beyond the specific claims of scripture." It is amazing that a group of people who would defend the "Sunday School" in resolution two would say something about going beyond the specific claims of Scripture. This is one of the ironies. However, they say this kind of thing to end the resolution because nowhere does God say in Scripture that He would preserve "the textus receptus." That's the extent of this argumentation. Of course, neither does God say in the Bible that He would write twenty-seven books in the New Testament. That goes beyond the specific claim of Scripture, but that's acceptable to them. Why? Because they say so. This committee does. Believe me, this is what they're talking about when they make this line in the resolution. All (pasa = "every") scripture (graphe = "writing") is given by inspiration of God (theopneustos = "God-breathed"). God breathed every writing. He didn't breath "the Bible." You may think that I'm getting too technical. However, I know how these men can slightly alter what Scripture says to fit what they want it to say. God inspired every writing. In the Greek New Testament, there's actually no verb in v. 16. The first verb we get is in v. 17 and it is the present subjunctive of the being verb. Most of the God-breathed copies in Paul's day were copies. Having inspired writings were necessary to be fully qualified as a man of God. The writings around were mainly copies, so copies must have been considered to be inspired. The assumption of the text is that the identical writings that God breathed were the same ones sufficiently providing believers in Paul's day. In application, we can assume that the writings will be available to us as well. I'm talking about a couple of specific claims of the text. God breathed every writing, not just the Bible as a whole. They would probably say that they meant that when they said "plenarily and verbally." The original writings were those breathed out by God. However, the text says that those same writings were what were equipping Paul and Timothy in the age in which they lived. Copies must have been considered to be still inspired. Verbal, plenary preservation is assumed by 2 Timothy 3:16-17. They shift the emphasis from "every writing" to "the Bible" as a whole. All writings and every one of them were breathed out by God. These fundamentalists like to talk about the Bible as a whole. They don't believe we still have the individual writings. That is how they depart from what we see in the specific claims of Scripture. They don't want to believe that we have "every writing" available today to sufficiently equip us to do every good work expected by God. That is one reason why they will write "The Bible" and then refer to what God wrote as "it." It isn't "them" as in "every writing," but "it," as in the Bible as a whole. You can see how that "the Bible" and "it" comes in very handy for their belief system in the second line of the resolution. These are men that do know what they are doing. The Bible does say that it will be preserved by God. However, it says more than this. God's Word says that "every letter" will be preserved by God (Matthew 5:17-18), not just "it." Scripture also teaches that God's Words would not disappear (Matthew 24:35), not just "it." I believe the Bible also says God will keep His Words for every generation (Psalm 12:6-7). "Throughout the ages" is also very ambivalent. Nowhere does the Bible use this Scriptural-sounding phrase to describe preservation. What Scripture does say is that God's Words would be available for every generation of His people (Isaiah 59:21; cf. Mt. 4:4). Now if they really do believe that the Bible claims that it will be preserved throughout the ages, they will have trouble with what Central Baptist Theological Seminary wrote in their book on Scripture several years ago, which is now called Only One Bible? They said that the Bible doesn't teach that anywhere. They said that it was a logical conclusion, not that the Bible actually claimed that. The major failure in this line; however, that doesn't fit with specific claims of Scripture is that the Bible, "it" as a whole, is what God would preserve. They don't believe we surely know what all the Words of God in the Bible are. For that reason, they concoct this totally unscriptural view that God said He was preserving the Bible as a whole. Scripture doesn't say anything like that. It says that God would preserve every Word for every generation. Since I wrote part one of this series on the Dever-Minnick interview, a mini-stir has erupted on the internet regarding an interpretation like mine of what Pastor Minnick said in his answers. The fundamentalist Baptist pastor on Vancouver Island in BC, Canada, Don Johnson, has written a few evaluations of this interview (here [before I wrote mine], here [afterwards], and here again). CurrentChristian, operated by fundamentalist Baptist pastor in Marshal, MN, Greg Linscott, has linked to my first post and quite a few comments ensued. Mark Dever himself has written a blog at 9Marks about separation, almost as if he has been reading the reaction to his interview. Quite a few comments follow his article by professing fundamentalists and others. After all of the recent comments, I still hold to what I wrote in the first article, probably even more so. Some give Mark Minnick a pass because "doing interviews" is difficult. I wouldn't expect Mark Minnick to be as smooth as he is in a sermon from notes. He probably doesn't anticipate every question that Dever could ask. However, Dever's questions weren't some great mystery for someone who has been in the ministry for over 25 years. I'm accustomed to talking to people spontaneously about what I believe. I do it every week going door-to-door. Regular bold presentation in impromptu situations will prepare someone to defend his belief and practice. Should I assume that Minnick is rarely challenged about his beliefs, so he is not accustomed to defending them in a relatively hostile situation? Minnick also knew what he was going to be questioned about. He could have readied himself with some talking points to potential questions. I would have prepared myself for several different likely scenarios, especially what to do with a Southern Baptist church, especially since Dever is, well, Southern Baptist. A BJU professor, David Beale, wrote a whole book on the subject, House on the Sand. What's the point of BJU publishing a book like that if it isn't about separation? I recognize it was published in 1985, and now the SBC is more conservative, but have the issues fundamentally changed? Is there any liberalism in Southern Baptist seminaries or on their mission fields? I know that one of the six seminaries, Golden State Baptist Theological Seminary, still harbors liberals that are still supported by the SBC cooperative program. The SBC also has moderates who fellowship with liberals. I would assume that Dever would want to know why Minnick wouldn't fellowship with him. Wouldn't Minnick be thinking about the same kind of thing in preparing himself to talk to Dever? My only two explanations for why Minnick did so poorly are: (1) He doesn't know what he's talking about, or (2) He was afraid. Neither of those are good choices, but I'd be glad to know what a third option would be. My friend, Bobby Mitchell, independent Baptist pastor in Maine, made a good point to me over the phone that Bob Jones University has "owned" the issue of separation, like Maranatha Baptist Bible College once owned the local church issue among fundamentalists. When you thought of fundamentalists and separation, you thought of BJU almost instinctively. Of all the people who could answer a few soft-lobbed questions about separation, it would be a foremost BJU representative like Mark Minnick. If you read the transcript of Minnick's response to the last question of Dever (that you can read here at Don Johnson's blog), you will read something so evasive it is almost comedic. I don't mean that to hurt anyone's feelings or to take a shot at anyone. It is how it reads, almost like a skit in which someone is attempting to give a humorous example of evasiveness to illicit laughter. You'll read among the comments over at CurrentChristian some from Dr. David Doran, fundamentalist pastor in Michigan and president of Detroit Baptist Theological Seminary, who says that he believed that Minnick did a "great job" in the interview and that he did give an "answer" to Dever to his last question. I can appreciate the loyalty and friendship of Doran. I would likely appreciate that if I was Minnick, despite the incredulity of the support. It could provide a case-study for why it is difficult to get anywhere in a self-critique of fundamentalism. Doran says Minnick answered the question. I have to think that he meant "responded to" the question. Saying words doesn't constitute an answer, let alone a good one. He could have given a good answer, perhaps one unpopular to Dever and his crowd, although I don't think Dever would have been offended. I think it was what he wanted, really wanted, but could not get it from Minnick. As a result, Minnick gave a very poor representation for the importance of the doctrine of separation. During the interview Minnick focused on two passages of Scripture to teach Dever separation. Both of the examples were to explain to Dever separation based upon a principle of association---there are people and institutions that God doesn't want His people associating with. His first example was from 2 Chronicles 17-19 and the character of Jehoshaphat. Minnick points out that Jehoshaphat made an alliance with Ahab's son, Ahaziah, and it wasn't even for a spiritual purpose, but a commercial one, and yet God is angry with the association and breaks Jehoshaphat's ships to indicate his displeasure. Minnick mentions that God, Who had thoroughly credited Jehoshaphat until that point, said that Jehoshaphat acted wickedly in this. Dever countered the first passage by asking if that means that Christians aren't supposed to work for a non-Christian company. Minnick, it seems, could have easily swept aside that bogus comeback, but he sheepishly retorted that his example showed that "alliances were important to God." Do you think that Dever doesn't already know and preach himself that alliances are important to God? I thought that the Jehoshaphat reference was fine to use, but Minnick should have been prepared to explain exactly how it applied to separation with something stronger than "alliances are important to God." So we were done with the very first passage, Minnick's locus classicus, liquified in one minute. OK so on to passage number two, Paul confronts Peter in Galatians. Minnick starts off by establishing that these are two Christian brothers and even leaders. Peter had associated with Judaizers who corrupted the Gospel, so Paul confronted Peter to his face. I don't know about you, but I was thinking that moment about how great it would be if Mark Minnick would confront Mark Dever to his face. That would have been a very appropriate, immediate application of that Scripture. Anyway, Minnick says that Peter had given credit to the wrong side by not practicing separation. Peter accredits the Judaizers by doing so. Peter wasn't himself wrong on the issue, but he associated with those who were. This is significant, says Minnick, because it is tied to the gospel. Men are swept along with the hypocrisy, including Barnabas. This is the one point in the interview that Minnick really did pin Dever. Dever is affected by the interaction and seems under conviction after Minnick shows this passage. This was the best of Minnick in this interview in my opinion. However, it was right then that Minnick could have really helped out Dever by going further and making the application. He didn't. He backed away, as if he was not comfortable with Dever's conviction and so he lets him off the hook. Dever asks for admonition from Minnick when he asks him the final question, which is: “What would we have to do to change for you to be free to preach here?” Minnick evades the question. After a paragraph of stammering, Dever asks again: "Ok, so what do we have to do to change in order for you in good conscience to be able to preach in a church like this?" I'm thinking, "Come on, Minnick!" At the very end, Minnick hints toward an answer if Dever wanted to latch ahold of it, but Minnick never does actually answer the question. What's the answer? How about "Leave the Convention"? That's a simple answer. Dever and Minnick both talked about relatives who had left the convention. Being in the convention keeps someone in fellowship with everyone else in the convention. Dever in the midst of the interview says that he stays in the convention so as not to lose the money that people had given and that is wrapped up in the seminaries and the buildings. This is complete pragmatism. Minnick could have pointed that out. What we believe is more important than the money that had been given and then, why not trust God? He also could have answered: "Separate from the false worship practiced and worldly practices of Mahaney. If you separate from friends, you'll shame them, and help them get right with God, which is far better for them. It's the most loving thing to do. If you couldn't join someone's church, doesn't that tell you that you can't be in fellowship with them either, based on their disobedience to the Word of God?" Not often can we eavesdrop on a conversation about separation between a well-known evangelical and fundamentalist. When Mark Dever interviews Mark Minnick as part of the 9Marks organization, we can, and I did. 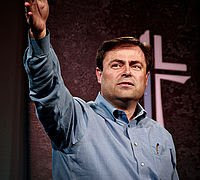 A Duke graduate and PhD from Cambridge, Mark Dever is senior pastor of the SBC Capital Hill Baptist Church in Washington, DC. 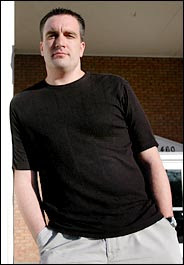 A graduate of Bob Jones University, Mark Minnick is senior pastor of Mt. Calvary Baptist Church in Greenville, SC, and long-time BJU faculty member. I listened with an open mind, as objective as possible, in order to give an honest, Scriptural, personal assessment of what I heard from both men. I’m interested in what men are saying about the doctrine of separation. I do have respect for both of them—Dever because of his stands within the Southern Baptist Convention and Mark Minnick for the excellent pattern he provides for the exposition of Scripture and for his informative break-downs of historic Christian writings often found in FrontLine magazine. Dever treated Minnick very respectfully and by the time he ended, I sensed some conviction in Dever from the interaction. Mark Minnick is a very gifted expositor; however, based on this and other interviews I’ve heard, he surprisingly is poor at spontaneous or impromptu and he sounds, to put it graciously, very tentative, in this conversation. Although he made a few good points, Minnick didn’t seem to have a strong grasp on the practice of separation. He had a great opportunity to speak up for separatists, at least for his brand, but he fell short in my opinion. Later in this commentary, I will tell you why I think that was the case. Dever asks good questions, ones that would allow Minnick to proclaim separation. For a separatist, they were some soft lobs that he could have hit out of the park, but he never did. I believe Dever on several occasions was setting himself up for a Minnick admonition. Minnick did succeed at presenting a few passages of Scripture that were themselves enough to give Dever pause. Even with them; however, he seemed unprepared to provide their application to the interview. Dever was obviously thinking about separation, especially in preparation for his talk, so with the little textual support that Minnick gave, Dever knew he wasn’t obeying Scriptural separation. Minnick repeatedly provided Dever excuses for his disobedience in separation, almost as if he was uncomfortable with Dever’s manifestation of conviction. Perhaps this is because of Minnick’s own inconsistencies in separation that were clearly exposed by the questions and comments that Dever made. Between the two, I was left thinking that I’d rather talk to Dever about issues than Minnick. Minnick seemed shackled by the expectations of political fundamentalism, being very cautious in answers, afraid of who he might offend. Dever even picked up on this, saying at one point that he didn’t want to get Minnick in trouble with his group. That was sad really and a testimony to one of the major ills in fundamentalism. Out of fear of getting branded, men often don’t say what they think. This environment emasculates many of the men of the movement. Some might contend that this is the graciousness of Minnick coming out. I hope so. I don’t think so. He’s a gracious man, but his lack of boldness was unsettling. Minnick was so ambiguous in his description of separation that I could not understand how to even practice it based on what he said. Toward the beginning in describing the "landscape" of fundamentalism in one of his questions, Dever showed his knowledge by mentioning Hyles, Bob Jones, and the Sword of the Lord, all proper nouns. Sensing the discomfort of Minnick and wanting to draw him out, he repeatedly said, "Without using proper names." This does show a shift in fundamentalism. Naming was once a hallmark of fundamentalism. It is also characteristic of Scripture, as Minnick himself pointed out when he referenced Alexander and Hymenaeus. In a certain way, Minnick seemed ashamed of being a fundamentalist. He laughed about the various groups or "sects" of fundamentalism. When asked who his heroes were, he did not name one fundamentalist—he named D. Martyn Lloyd Jones, John MacArthur, and the Puritans. He did not say Bob Jones, III, his former pastor, or any well known pastor who was a Bob Jones graduate. At the end, he heaped praise upon Dever for what he was doing, not pointing out in any way that Dever was violating the doctrine of separation. I believe that Minnick is separated from Dever, but he didn’t say anything that would reveal that. After introducing Minnick to his audience, Dever asked him questions about separation. As we come to find out in the interview, Dever had a prominent family member who had himself separated from the SBC, so he himself was familiar with the practice. He asked questions that showed that he grasped the BJU type of separation. Dever asked Minnick to define a fundamentalist and Minnick said that it was someone who held to "essential doctrines of the Christian faith" and then practiced separation based on a violation of those essential doctrines. I don’t have a problem with that definition of fundamentalism. It does fit into a description of an interdenominational movement. The "essential doctrines" part of the definition; however, is why Minnick is so inconsistent in his practice. As the interview proceeded, Minnick had a difficult time explaining how to separate. When he talked about unity in the truth and separation from anyone who departs from the truth, I never knew what "the truth" was of which he was speaking. I think it might be what the Bible teaches, but I’m not sure. It’s easy to say "the truth" and leave it undefined—someone can make it whatever he feels like separating over. If it was the "fundamental fundamentals" as Dever explained it or the "essential doctrines" as Minnick offered, where does Scripture teach that? Later Minnick referenced 1 Corinthians 5. When you look at the list of sins there over which we must separate, it seems that there are more than just the "essential doctrines" of the faith as commonly taught by fundamentalists. This is where the BJU and fundamentalistic explanation of separation leaves someone befuddled. More questioning muddies the waters even more. Dever: In order to better understand what separation is, maybe we can sort of turn the lights on the outside of what is legitimate separation. What is an example of what would be outside of legitimate separation? Minnick: Well, the sectarian I was talking about. Where you make issues a test of fellowship that the Scripture doesn’t. Dever: So like the King James Only thing. Minnick: There are many men within fundamentalism that strongly prefer the King James Version, but they don’t make that the test case. The way they would put it is that they’re not King James Only but they use only the King James. That’s not a position that I’m particularly comfortable with, because I think it basically supports the wrong side on that issue. Um, but there are some in fundamentalism that the King James Version is the test case for that. In many ways, the evangelical and fundamentalist explanation of King James Only is just a straw man or red herring. It focuses on the translation itself and the extremes in practice but ignores the Scriptural and historic doctrine of preservation. Minnick referenced only KJO as an example of a "schismatic" or "sect" of fundamentalism that "divided the body of Christ." Earlier Minnick himself said that separation was actually initiated by those who departed from Scriptural doctrine and practice, that separation was simply a reaction to what those men have done. If men say there are errors in Scripture, that is a departure from Scriptural and historic doctrine. Who is initiating that separation? What Minnick said is tell-tale about the KJO issue, which is the only issue that Minnick mentioned that is a "schismatic" kind of separation. That backs up my contention that KJO is the third rail of fundamentalist politics. It is mainly political. He says that KJO is "the wrong side on that issue." Is something "schismatic" because it violates Scripture or is it because it is on "the wrong side of the issue"? Separating over "errors in Scripture" seems to be biblical separation, initiated by those who endorse and teach that the Bible has errors against the Scriptural and historic position. 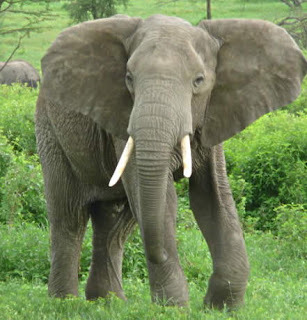 One elephant in the room of Bob Jones separation is music. Is that a schismatic issue? I know it does divide "the body of Christ." KJO came up because that is an issue that Dever and Minnick could agree on. Minnick could keep getting "attaboys" by mentioning KJO. They could both hold hands against guys on "the wrong side" (theologically incorrect side) of the version issue. At that point, they were T4VI, Together for the Version Issue. Historically, Bob Jones has separated on music. I believe that worship is worth separating over, but that didn't come up, because then we might have to talk about CJ Mahaney and another Mark, Mark Driscoll, who Mark Dever just preached for. Or perhaps music and worship are becoming a non-separating issue for the Bob Jones guys now. Dever mentioned his close friendship and fellowship with J. Ligon Duncan, a presbyterian pastor, who practices infant sprinkling and believes that this sprinkling places the infant into the church. Dever said that he believes Duncan disobeys Scripture on baptism. Minnick agreed that this was not a separating issue. Jesus commanded John to baptize Him to "fulfill all righteousness." I would conclude from that exchange that Minnick also believes that separation over the doctrine of baptism is schismatic. That would be a logical conclusion. I don’t think; however, that Minnick would call that schismatic. Why? Politics again. The "essentials" and "truth" are determined by some sort of popular, fundamentalistic fiat. KJO fits its mandate, but baptism does not. The Bible loses its place as final authority, replaced by this sort of sacral society. I would think that intelligent men would see that a doctrine and practice of separation that is so inconsistent could not be what God has taught in His Word. In the midst of the interview, Minnick seemed to concede that his view and practice of separation was superior to Dever’s because he was at least trying to practice some kind of separation compared to evangelicals not even talking about it. This was perhaps to persuade Dever that he should come over to Minnick’s inconsistent side. Is that the best we can do in explaining separation? Can't we show that it is an oft-repeated Biblical doctrine that someone is sinning when he doesn't practice it? It sounds as though separation is very unclear and difficult, but you should think about it and then at least talk about and then to try to practice some form of it, and if you do, well, you're a separatist. I wouldn't tend toward caring about separation if that's what I heard and that is what I heard from Minnick in this interview.